The BBC is recruiting for two lead presenters, a chief news correspondent, an innovation correspondent, a news organiser and reporters for its new hour-long news programme covering Scotland. The 9pm nightly bulletin will run on the new BBC Scotland channel, which was announced in February last year. It was set to broadcast from autumn this year, but has been delayed to February next year. 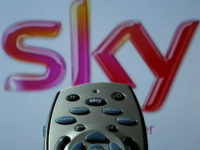 Ofcom gave the channel a provisional green light in April. It has a programme budget of just over £32m a year and is expected to create 80 new jobs for journalists. The news bulletin will broadcast for an hour on weeknights, but will be shorter on the weekends. Applications for the two lead presenter roles close tomorrow (19 June). 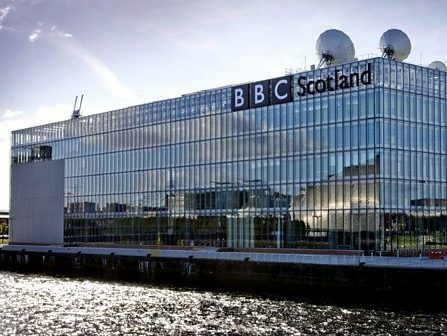 The BBC said the ideal candidate for the permanent roles, based in Glasgow, would “have a conversational, informal and warm style, while being able to tackle the most complex news stories with rigour and authority”. The corporation said it was looking to recruit “a presentation team who will work across the week, bringing our content to life and making the programme world class”. Applications for the chief news correspondent role are open until 18 July. The BBC said it wants someone to lead it’s reporting and become “a key figure in our family of onscreen faces, providing authoritative storytelling, creative treatments and a raft of original stories to the programme”. The ideal candidate would be “a world class reporter or correspondent with a reputation for brilliant storytelling, the ability to make complex issues clear, and an eye for stand out visual story telling”, said the BBC. The permanent role is also based at the BBC’s news hub in Glasgow. The BBC is also recruiting a news organiser to help run its Scotland newsgathering operation out of the Glasgow newsroom. Applications are open until 24 June. The role will involve assigning reporters, correspondents and camera crews to jobs and providing them with support while working in collaboration with newsrooms across the UK. The ideal candidate has proven experience of, or an “aptitude” for, producing live, breaking news stories and have a sound knowledge of Scottish geography and the mechanisms of its government. The role also demands social media knowledge and “awareness of the digital-first strategy” employed by the programme. The BBC is also looking to recruit an innovation correspondent for its 9pm bulletin, who will be based in Dundee. Applications close on 8 July. “Scotland has a proud history of invention and discovery,” said the corporation, adding that its new correspondent won’t look back at the great achievements of the past, but instead will seek out and report on true innovation in all its forms as it exists in 21st century Scotland”. Sounding a warning about PR spin, the corporation added: “Having the job title innovation correspondent will fill your inbox with press releases encouraging you to publicise something the sender thinks is innovative. The ideal candidate will have a “nose for what’s newsworthy, a passion for stories, an instinct for original journalism” and “the ability to broadcast live with confidence and authority”. Finally, the BBC is also recruiting for reporters “across the country” who will be based in Aberdeen, Dundee, Edinburgh, Glasgow and Inverness. Applications close om 18 July. “We aim to cover the whole world but also cover Scotland better and these roles will be crucial in doing so,” said the BBC. It said of the roles: “You’ll be creative in your storytelling able to report stories using a variety of storytelling techniques and be equally happy researching and booking guests as reporting their stories yourself. The ideal candidate will “have a good understanding of Scottish news and be able to operate on a breaking news story, a lighter feature or a longer planned film,” said the BBC, and “will be as happy behind the camera as in front of it”.